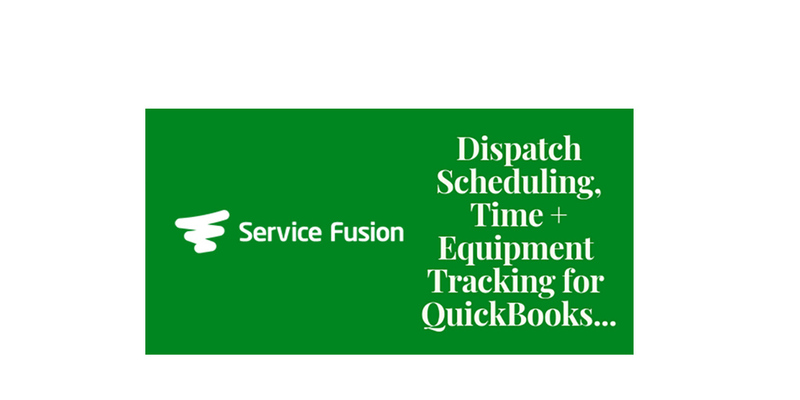 You’re not going to find scheduling or dispatch functionality for your service teams within any version of QuickBooks. Some will try to use a combination of sales orders masquerading as work orders and the to do list to handle this. For most businesses, that approach lasts about 10 minutes (or less). Take a closer look at the Service Fusion field service solution here..
Real time technician status updates – Automatically let your customer know when the tech is headed their way. Remind them of upcoming services appointments too! And of course, Service Fusion connects to QuickBooks Pro, Premier, Enterprise, and Online versions. Did I mention that Service Fusion is fully web-based? That’s great news for you! No servers, software, or IT help needed in your office. Just log in from anywhere with internet connectivity and get rolling. Service Fusion makes it easy to get up and running. There are no setup fees or contracts involved. In addition, Service Fusion does NOT charge by number of users. Their pricing is simply a flat fee per month for the service level and options you choose. Unlimited user count. Use this special link the Service Fusion team has provided me, and they will take good care of getting you introduced to their solution.